Director Training Authority - Submarines, Commander Dylan Findlater, RAN, shows Minister for Defence, Senator the Hon Marise Payne, the virtual reality training system during a tour to the Submarine Training and Systems Centre, as part of a visit to HMAS Stirling, Western Australia. Minister for Defence Marise Payne visited Australian Defence Force personnel and facilities in Western Australia, and witnessed a capability demonstration by the Special Air Services Regiment (SASR). The minister inspected the facilities at Australia's largest Naval base HMAS Stirling, which Defence has touted as critical to supporting Australia's future fleet, including Fleet Support Unit-West (FSU-W). "The technicians at FSU-W provide vital maintenance support to our ships and submarines and work with our sailors to increase their skills and knowledge so that they are better able to fix defects when at sea," Minister Payne said. "With more and larger vessels to be home ported at Fleet Base West in the coming years, FSU-W is working with industry to further build technical knowledge and experience to ensure we are able to support our future ships." Minister Payne also visited Collins Class submarine HMAS Dechaineux and the Submarine Training and Systems Centre. "With the return of HMAS Farncomb to Fleet Base West in November last year, five submarines are being operated and sustained from the west," said Minister Payne. "The men and women at the Submarine Training and Systems Centre are making a significant contribution to ensuring the availability and readiness of one of Australia’s most strategically important assets." 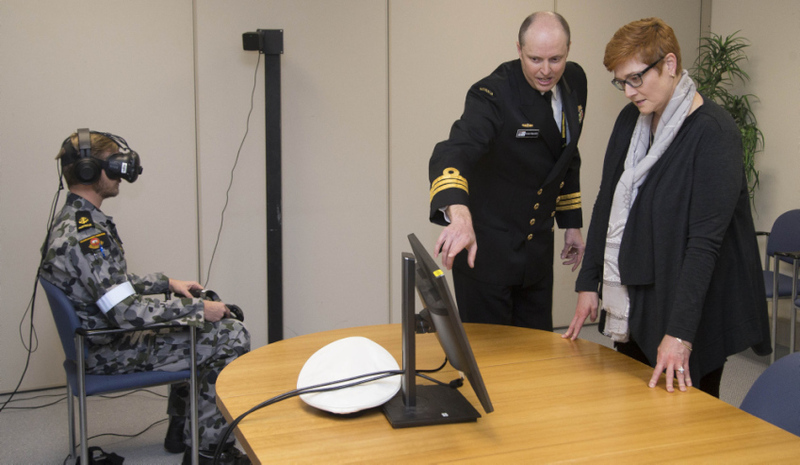 At Campbell Barracks the minister received a capability demonstration and met with members of the SASR, a unit operating as part of the Australian Special Operations Command. "SASR personnel are specially selected and highly trained to operate in situations that may have national and strategic consequences," Minister Payne said. "The unit operates as part of Australian Special Operations Command to provide a range of capabilities that can be utilised to further Australia’s national interests. "It was also great to visit the SAS Historical Museum, which has been developed by volunteer SAS veterans."